The 30 Greatest Trumpet Hits of All-Time. 1979 made in Canada . Ahed TVLP-79055. ...Al Hirt ... original arrangements styled & newly recorded by Al Hirt. Java . The Toy Trumpet . Lot2 Record. Used Condition. I try my best to describe each item and show every detail of the item in images. 6 Better than. VG Minimal visual or audio imperfections. Values are based on Jerry Osborne's Official Price Guide To Records, 2010 & 2014 Editions. POOR but below. 4 Better than. VINYL CONDITION: VG . Some light scratches and scuffs on sides A & B. Sides C & D look NM. See photos. SLEEVE CONDITION: EX. Miminal wear. Appears to be autographed by Al Hirt but I have no COA. The autograph matches his based on web searches. See photos. Artist - Al Hirt and Pete Fountain. Title - Super Jazz 1. LP Double Album. What is the condition of this record album and this album cover?. For the most part, I'm just trying to categorize these albums and covers, not grade them. Various ‎–Splendor Of The Brass. F – Living Brass That's Life / Strangers In The Night / Help Yourself. Album Title: This Is Christmas. 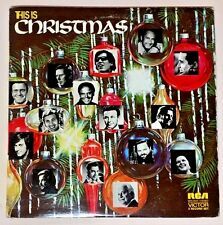 The First Noel/Silent Night/O Holy Night The Christmas Song/Chestnuts Roasting On An Open Fire – Kate Smith. White Christmas – John Gary. This is the authentic release & not a pirated, bootlegged or copied version. Al Hirt ‎– New Orleans By Night. RCA Camden ‎– CXS-9015, PDL2-1048. 2 ×Vinyl, LP, Compilation, Reissue. HERE WE HAVE. SUPER CLEAN IN LIKE NEW CONDITION! FOR ONLY THE SMALL INCREASE IN COST OF THE WEIGHT DIFFERENCE. 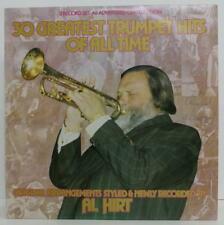 AL HIRT "Blows His Own Horn" Gatefold Double Vinyl LP. Vinyl = EX. This is the RCA Camden Double LP recording of "AL Hirt Blows His Own Horn" This is a 1972 complilation of his hits and other choice cuts from his extensive catalog. The vinyl is VG The cover is clean with a little ring wear as seen in the pics (VG ) No splits or tears. Al Hirt - Raw Sugar & Herb Albert and the T.J.B. Your Smile Double LP Set New Factory Sealed. Herb Albert and the T.J.B. Your Smile - The Song Begins A&M Records SP 3620. AL HIRT Blows His Own Horn. RCA Camden CXS-9015. RECORD LABEL NUMBER: TVLP 79055. RECORD LABEL: AHED WHITE LABEL/TVLP. ORIGINAL OR GENERIC SLEEVE : INNER GENERIC SLEEVES. Label: AHED; 12" 33 1/3 RPM Vinyl Record Album Double LP # TVLP 79055. Artist:Al Hirt. Very Good Plus - No obvious signs of wear. Very Good - Possible signs of use but no marring. 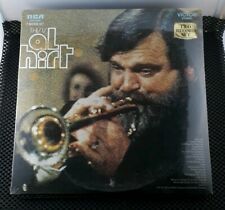 This is Al Hirt - 2 Record Set - RCA Victor 1970. Previously Played Album. Sleeve and Disc May Show Minor Wear. 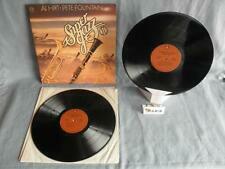 Al Hirt & Pete Fountain "Super Jazz" 2 Monument Long Play Records in EX. Cond. Pete Fountain, Al Hirt and others "When the Saints go Marching in" Pickwick Vinyl Double LP's Dixieland Jazz Music Record Album VG Stereo 1972. This album is valued between: not found in guide. PICKWICK R ECORD ALBUM NO. TITLE: AL HIRT, BLOWS HIS OWN HORN. RECORD CONDITION: VG (DOUBLE LP). Al Hirt Blows His Own Horn. RCA / Camden CXS-9015 (2) two stereo 12" LP record album set in gatefold cover. Condition: Records grade VG and NM. Cover is close to NM. Comments: . 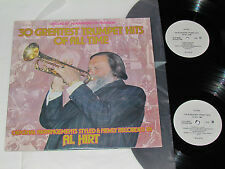 Al Hirt Blows His Own Horn vinyl. RCA Records ; 1972 (#CXS-9015). Vinyl =VG Cover = VG (in shrink). VG = vinyl still has a great luster, record shows wear, surface scuffs. But the flaws will be noticeable to the naked eye. "WHEN THE SAINTS GO MARCHING IN". PETE FOUNTAIN. GEORGE GIRARD AND HIS NEW ORLEANS FIVE. gatefold cover shows light wear/warp. 2-Records in EXCELLENT CONDITION. 2 RECORD SET. very minor light surface line.